In-depth training courses that will help you learn Excel , Advanced Data Modelling and Reporting in an easy step-by-step manner. I have worked with Prashant with my crazy employee data report. I work in Payroll department and I had a unique problem with monthly payroll report. I found one of Prashant's product online and consulted him, he offered perfect solution using Power Query which is now saving me tons of time! Easy to with, thank you! 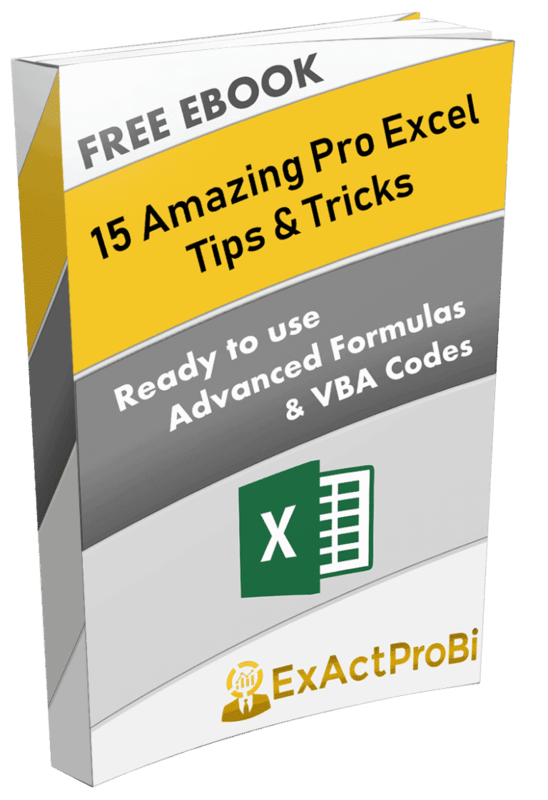 Prashant's Excel based products are amazing and saves tons of time. Prashant provides excellent support for any issue in using problem, he also solves specific issues with your data and using product! Highly recommended professional. Compare Data Workbook product is real life saver for me. I had issue of comparing complex structured data every week and Prashant's product solved the problem and saved me hundreds of hours weekly, he provides excellent custom support! I work in telecom industry and I am incharge of sales. I always had to compare complex data by row and then by cell each week to know exactly movements and track KPIs accurately. I bought Prashant's Compare Data workbook which saved me many hours of work and brought 100% accuracy in my analysis. Thank you! Get Amazing Pro Excel Tips Ebook (Worth 30$)! Signup now and also receive an email once I publish Tip! Tell me where to send it ?